More American Jews have roots in Poland than in any other country. Poland kept very good track of its citizens through metrical records (birth, marriage, and death), Population Registers, and other documents. While many of these records were destroyed during the war, a surprising number has survived and can be found in Polish Archives, even for localities no longer in Poland, particularly parts of present-day Ukraine. Through the efforts of JewishGen and JRI-Poland volunteers, information about and indexes to many of these records are now accessible through the Internet. Fay Bussgang will describe what records exist and bring you up to date on new developments in accessing them. 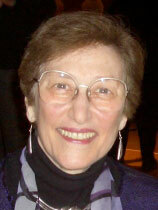 Fay Bussgang received a B.A. from Wellesley and an Ed.D. from Harvard. She served as co-president of the JGSGB from 1998–2000. She has authored over 20 articles in genealogical journals and wrote the “Russian Poland” chapter of the Avotaynu Guide to Jewish Genealogy. Fay and her Polish-born husband, Julian, have done extensive genealogical research during 13 trips to Poland. They have also translated two volumes of war-time accounts of child survivors still living in Poland (The Last Eyewitnesses) and edited two Yizkor Books that were recently published by JewishGen (for the towns of Brzeziny and Dzialoszyce). Ask the Experts will meet from 12:30-1:20. The Bessarabia SIG will not meet today.